Our Home Supply Outlet Store serves as the source for good-quality building materials at low prices in South Central Wisconsin. The Home Supply Outlet Store sells gently used and surplus building materials, as well as home furnishings. 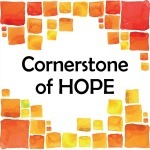 Proceeds benefit area Cornerstone of Hope projects, such as home repairs and house builds. Due to renovations in the building, the Janesville Store will be closed until further notice; we apologize for any inconvenience. We will still be accepting donations through the Janesville office. Please visit our Fort Atkinson location.